Who is your Preferred Candidate for your household? Blog › Who is your Preferred Candidate for your household? John Doe is a highly educated candidate with a Master’s Degree and certifications. He is knowledgeable and trained in caring for any type of household and is looking for one of his first position’s in a residence. Mary Smith has long-term experience working in private residential settings, both formal and casual. With her lifetime worth of experience, she has learned all the ins and outs of her craft. More or less, every home has their ideal candidate, but finding that person in reality is definitely challenging. Anyone can argue the pros and cons between candidates with the educational background and the candidates with lifetime of experience, but at the end of the day the difference between the two is apples and oranges. We always say every home is different. Candidates are handpicked based on the dynamics of the household. Some homes require employees who can work independently and take care of things with minimal direction and/or supervision, especially homes with only one employee. This requires those not only with experience, but with sound judgement and a pro-active nature. Other residences may have sophisticated and well-thought systems in place and do not need nor require someone to bring in new (unsolicited) ideas. If it ain’t broke, don’t fix it! This requires employees who are capable of understanding and following instructions down to a ‘T’. So, what matters most when considering John or Mary for your home? That is up to you. However, the individual’s level of commitment passion to serve, adaptability, and of course, chemistry will all be important variables. You might just need to rely on your instincts when making a decision. Just like any other relationship, what looks good on paper might not be as good in reality. Just the same, someone might be better in person than on paper. 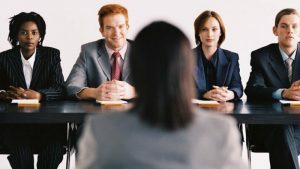 The hiring process does not have to be a frustrating one. With the assistance of an experienced staffing agency like The Hazel Agency… we can help you find your PEAR!